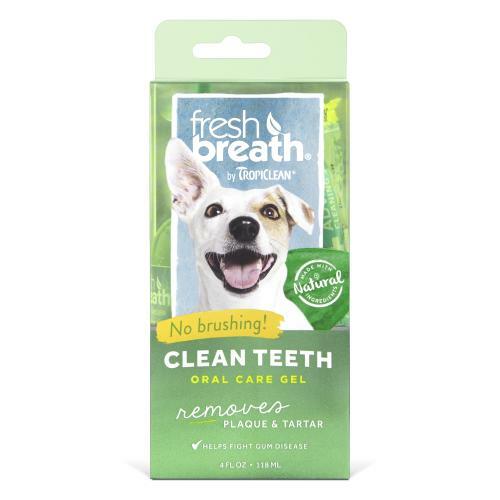 Tropiclean Clean Teeth Gel is a fast working, natural way to minimise the buildup of dental nasties like plaque and tartar on your dog's or cat's teeth, brush free! Made with a bespoke blend of natural ingredients which work holistically to promote a healthy oral environment, killing germs that cause unpleasant bad breath and gingivitis, whilst soothing gum irritation. Simple to use, just apply two drops daily to each side of your pet's mouth, or directly to teeth with plaque buildup. You will likely notice you pet licking their lips afterwards, this helps the gel to mix with their saliva and coat all surfaces of your furry friend's teeth and gums. For improved results, withhold water for 30 minutes before and after treatment as this prevents the active ingredients from being washed away. After 30 days, application can usually be cut down to twice weekly. 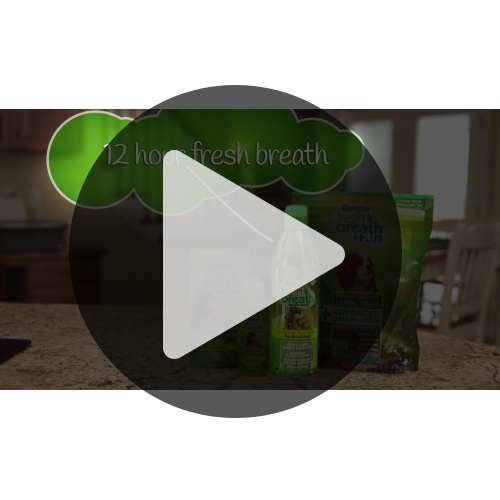 TropiClean is the worldwide brand in leader in pet shampoos and dental products with veterinarian approval and clinical trials available to back up claims! All their products are created with 70% organic ingredients and contains 100% naturally derived ingredients. The packing is made from 50% recycled material and is 100% recyclable!